Chris was raised in a fishing community in Antigonish County. He completed a Bachelor of Science degree (Dual First-Class Honours in Mathematics and Economics) at St. Francis Xavier University in 1995. He then pursued graduate studies at Queen’s University and completed a Master of Science degree in statistics in 1996. After six years employment as a statistician in a pair of cancer research units and on Bay Street, Chris completed a law degree at the University of Victoria in 2004. He articled at a corporate / commercial firm in Halifax before working as an associate for nine years at two general practice firms in northern Nova Scotia. He became an associate at EMM Law in 2015. 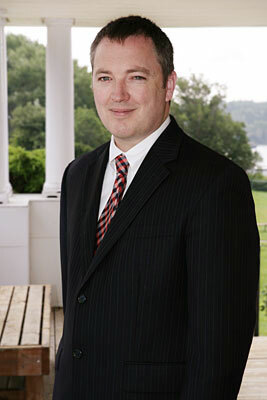 In addition to his legal practice, Chris is a sessional lecturer in the business department at St.F.X. University, and a board member of the Bergengren Credit Union. He has also written on legal issues for the Antigonish Casket. Chris lives with his wife and four daughters in the Town of Antigonish. A good lawyer treats clients with empathy and their legal problems analytically. Those two approaches need not be mutually exclusive.